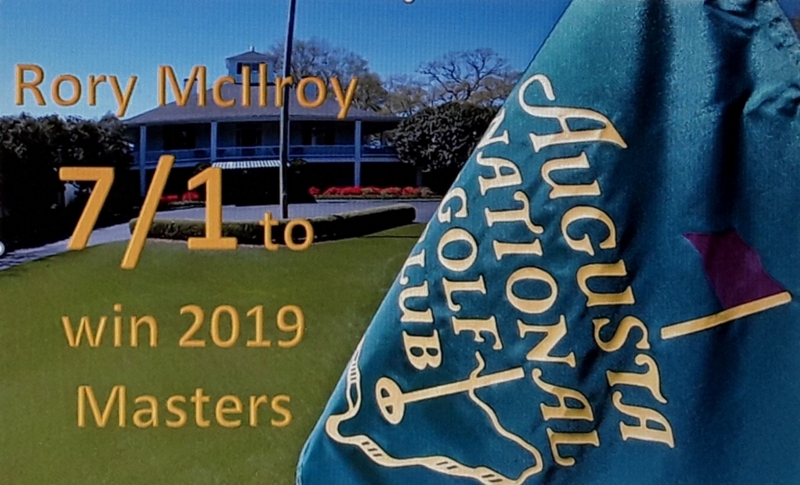 This year marks 11-years since Rory McIlroy’s first visit to Augusta National to tee-up in the Masters. It’s also ‘Take-5’ in McIlroy’s quest to win the one Major he so desires to join the most-exclusive club in all of golf. Over the past decade we’ve applauded, we’ve been left in awe but we have also too often shared McIlroy’s Masters pain. And ahead of McIlroy taking yet another drive down Magnolia Lane, let’s look back on those 10-years in the words of McIlroy himself starting with his Masters debut in 2009 and through to 12 months ago when there was yet more final round disappointment for the Irishman. Check out the hair – Rory McIlroy makes his Masters debut in 2009. Masters debut – Preview remarks. “It’s great. It’s a huge thrill to be here, and you know, it’s been a dream of mine for a long time to be able to play in the Masters, and for that dream to finally come true is a pretty special feeling. “It’s a week that I’m going to enjoy and hopefully I’ll be playing pretty well. “Hopefully I can carry that good golf into this week, as well. But I’m here to enjoy myself and hopefully pick up some valuable experience. If it doesn’t quite work out this week, I’ll hopefully have plenty more to try to do well in. “You know what, it’s just going to be a great week and one I’m really looking forward to”. Struggles with a back injury to miss the cut. “I just didn’t play well and I need a bit of time to get it back on track. First round 65 (First time in the 60’s) to share the lead with Alvaro Quiros. “I think that Augusta National, it takes years and years of figuring out and they make tiny little adjustments here and there, but I feel a lot more comfortable on the golf course this year than I did the previous couple of years, which is great. And it showed in the way I played today. I played some really good golf out there. Third round 70 to lead by four shots at 12-under par and asked how was he going to sleep. “I’ll sleep all right. I probably won’t get to bed until later on. There’s a big rugby match on tomorrow. Ulster, my team, are playing Northampton, so I’ll have to get up at about 10:00 to watch that. NOTE – Northampton Saints defeat Ulster 23-13 in a punishing encounter to set-up a Heineken Cup semi-final against Perpignan. Fourth round 80 to finish 10 strokes back in share of 15th. “I’m very disappointed. You know, I was leading this golf tournament with nine holes to go, and I just unravelled. Hit a bad tee shot on 10, and then never, never really recovered. You know, it’s going to be hard to take for a few days, but I’ll get over it. I’m fine. “I knew it was going to be very tough for me out there today, and it was. I felt good that I hung in well for the first nine holes, and then as I said, just sort of lost my speed on the greens, lost my line, lost everything for just two, three holes, 10, 11, 12, and couldn’t really recover after that. Asked what he would learn. “I think it’s a Sunday at a major, what it can do. “This is my first experience at it, and hopefully the next time I’m in this position I’ll be able to handle it a little better. Finished T15th – Scores of 65. 69, 70, 80. “I learned a lot. I think one of the things I learnt was that as a person and as a golfer, I wasn’t ready to win the Masters; wasn’t ready to win a major. “I really needed to think about what I needed to do to improve mentally and in different aspects of my game to get better. I felt like I did that. Ends the week T40th – Scores of 71, 69, 77, 76. Wednesday Par-3 Contest – McIlroy has girlfriend, Caroline Wozniacki as his caddy. She was asked if McIlroy paid her for caddying. McIlroy: Yeah, we negotiated a little bit. Wozniacki: I’m a good negotiator. McIlroy plays the final round alongside Jordan Spieth who finished T2nd. A year later, Spieth wins a first Masters and a first Major. McIlroy was asked his thoughts on Spieth’s game. “Jordan doesn’t play like a 20-year old. He plays like a seasoned veteran. I wouldn’t say that any part of his game really stands out. But everything is just so solid. He plays to his strengths. He’s very composed for a 20-year old. And that’s why he’s had success so early on because he can control his emotions and he’s mature. He’s not your typical 20-year old. He plays like he’s been out here for a long time. “That’s the thing, I think that’s one of his biggest strengths. Mentally he’s really good”. Arrives at Augusta National as World No. 1 and the reigning Open and PGA Champion. It is also seven years since McIlroy first teed-up at Augusta National. He was asked if he still gets nervous on the first tee. “I think the first tee shot is probably the only first tee shot of a tournament these days that I still get nervous at; the one that you get butterflies and your heart races a little bit faster than it does usually. Was asked after a final round 66 if he felt he could have ‘pressed’ early on in the tournament. “Not, not at all. I prepared really, really well for this tournament. I came in feeling good and, no, I felt like I played okay on Thursday. I got it in in red numbers. Just the start on Friday was really what killed me. “But as you’ve seen over the last 45 holes, again, there I’m playing very nicely. It’s just a matter of putting it all together”. Asked on the eve of the Masters if he will win the Masters, if not in 2016, but one year. McIlroy is lying 2nd after the second round but eventually finishes T10th as Danny Willett comes from five shots back with nine holes to play and wins by three from a hapless Jordan Speith who led for the first three days. McIlroy shoots last day 71 to finish T10th and was asked if he was now feeling more pressure to win a first Masters. “Yeah, this is the one that I haven’t won and this is the one I want to win more than anything else. I won a Claret Jug, I want to win more. I won a Wanamaker, I won the U.S. Open, but this is the one that I haven’t. “Once I overcome that mental hurdle that I’m struggling with at the minute, then I know how to play this course, I’ve played this course very well before, and I can string good rounds together here, but it’s just a matter of doing it. Finished T10th. Scores of 70, 71, 77, 71. “The first two or three years, playing Augusta for me was like walking on eggshells and now I just feel a lot more comfortable in playing the golf course and simply just making my way about the grounds,” he said. “The first time I was there in 2009 I felt even afraid to take a divot out. “I’m excited. Doesn’t feel like it is my 10th Masters, that’s for sure. It’s went very quickly. But excited to be back here. It’s the‑‑ this has sort of become the real start of the golf season for the casual golf fan, but obviously we have been playing quite a bit before this, but it’s really when all the eyes of the world are on our game for this week. McIlroy shoots his lowest Augusta round of a 65 on day three to be trailing in second place and three shots behind Patrick Reed with a round to play. “Yeah, a great day. I’m closer to the lead than I was starting off the day, which a bonus, especially when you see Patrick goes out and shoots 67 and obviously played very well. “I rode my luck a little bit out there. You know, the chip‑in on the 8th hole, finding my ball in the azaleas on 13, not the first time. Then hitting the tree on 18 and coming back in the fairway and making a birdie from that. ‘Luck’ deserts McIlroy as he bogeys the first, misses a 4-foot eagle putt that would have tied Patrick Reed at the second, bogeys the third and then has two other front-nine bogeys to eventually shoot a 74 and finish T4th and four shots adrift of Reed. McIlroy’s in no mood for a long fireside chat. “I probably some of my best golf I’ve played here. Just wasn’t meant to be. “Of course, it’s frustrating. But it’s hard to take any positives from it right now, but at least I put myself in the position. That’s all I wanted to do. The last four years I’ve had top‑10s, but I haven’t been close enough to the lead. Today I got myself there. I didn’t quite do enough. But, you know, come back again next year and try. Asked if he can still win the Masters.